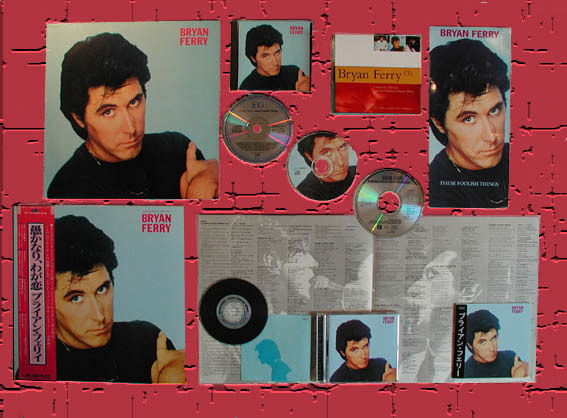 Bryan Ferry's first solo album was released in 1973 and reached number 5 in the UK album charts. The album was a departure from the Roxy Music albums in that he didn't write the songs. This collection of 13 songs were personal favourites of his which spanned several decades from 30's standards such as the Title track through '50 Elvis Presley to Bob Dylan and the Rolling Stones. A Hard Rain's-A-Gonna Fall was released as a single and reached number number 10 in the UK singles chart. I Love How You Love Me was released as a single in France. "It's a very catholic selection", I've given up trying to please all of the people all of the time. Some will like it for one reason, some for another. And some will presumably dislike it for the wrong reasons though I hope the general point of it will be understood. Its amusement value. I think,"